The one sure way for God to speak to us is through His Word. Casually reading the Bible is, of course, a great thing to do in our daily lives, but studying the Bible is essential in our walk with Christ. 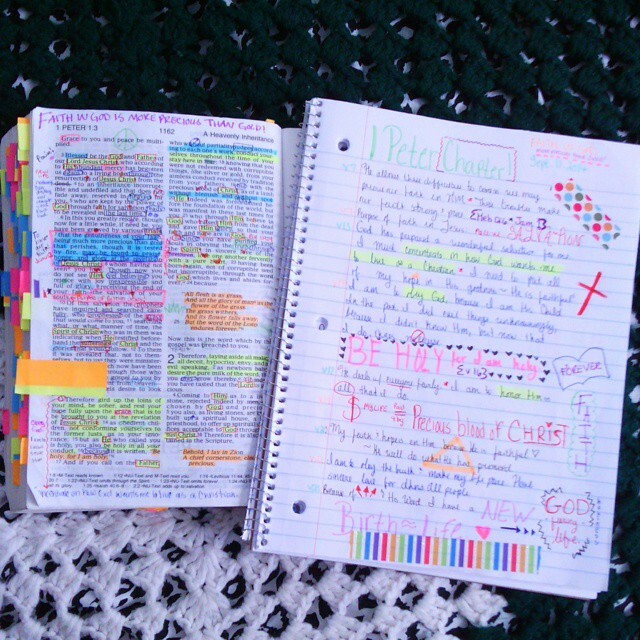 When it’s time for you to read your Bible (you should set time aside every day to read your Bible), find a quiet place, free of distractions, bring your bible, of course, it’s a good practice to have at least 2 bibles available during bible study, your favorite version and another version for comparison and understanding; a notebook, something to write with, a highlighter, and a open heart ready to receive the Word of God. Any thought, questions, or enlightenment that comes to you while you’re studying, write down. Further, expand your understanding of the Word by asking a believing friend to join you; I’ve learned that studying with someone just as eager to learn the Word, opens up your understanding. It’s time not to just read the bible, but to study it. So many are falling by the wayside, we are going to need the Word hidden in our hearts.